I don’t think I’ve ever seen a look that Selita Ebanks has worn that I haven’t liked. She’s so beautiful that she could wear anything and look good! I have so many looks of hers that I love but I thought that this look would be a good one to try and recreate. 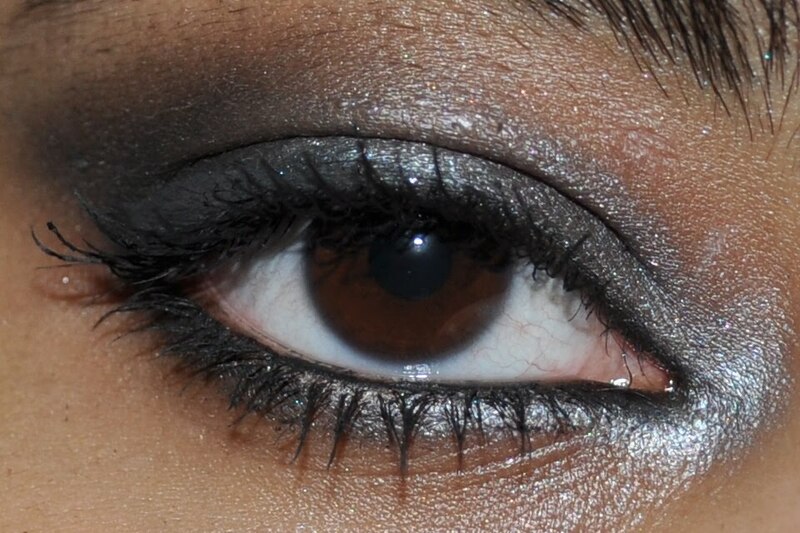 It’s a grey smokey eye that has a very elongated cat eye shape to it. I’ll tell you now that I’m not extremely happy with how the look came out because it’s a little patchy and the shape of the shadow is not one I’ve mastered yet. 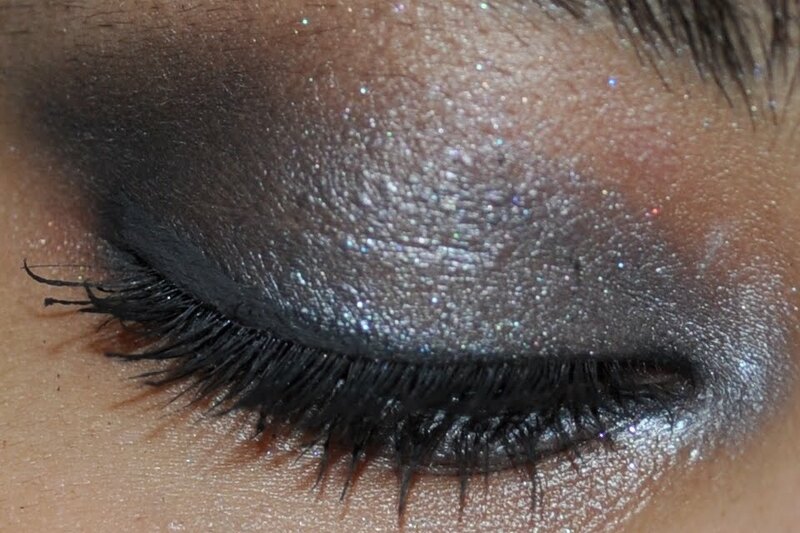 I don’t have any matte grey shadows except for Print which is almost black so I had to use all metallic shadows. 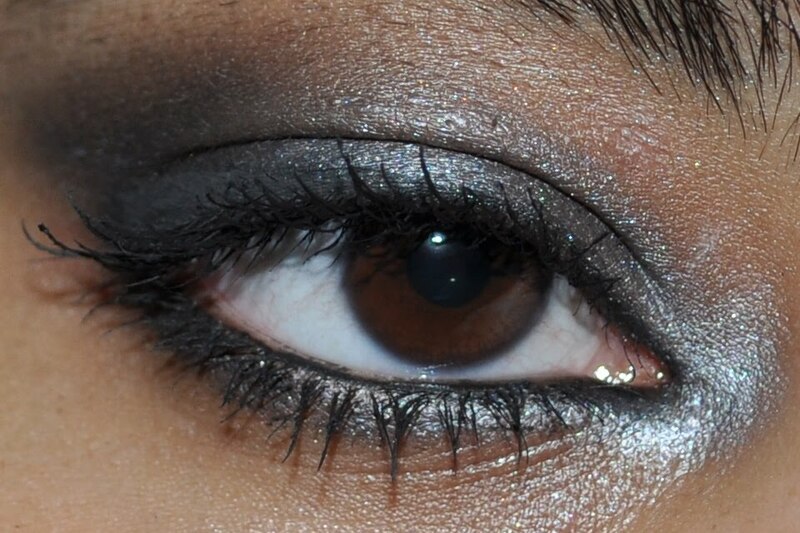 MAC Print eyeshadow on the outer v and into the crease and then blended out into a cat eye shape. 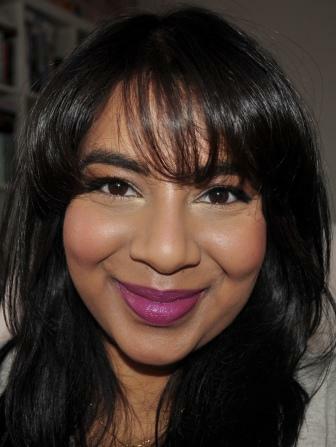 Urban Decay 24/7 Glide on eye pencil in Zero on the waterline and along the outer third of the bottom lash line.